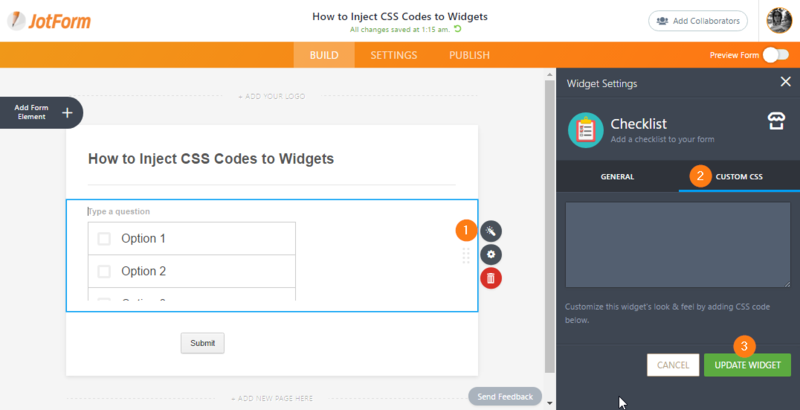 You know how to inject custom CSS codes to your form but did you know that Widgets have their own respective location for CSS code injection? You may be wondering - "Why not just consolidate all of them in the CSS tab of the FORM DESIGNER?" And you're right, that would've have been way better. But, the reason is leaning more towards security concerns. 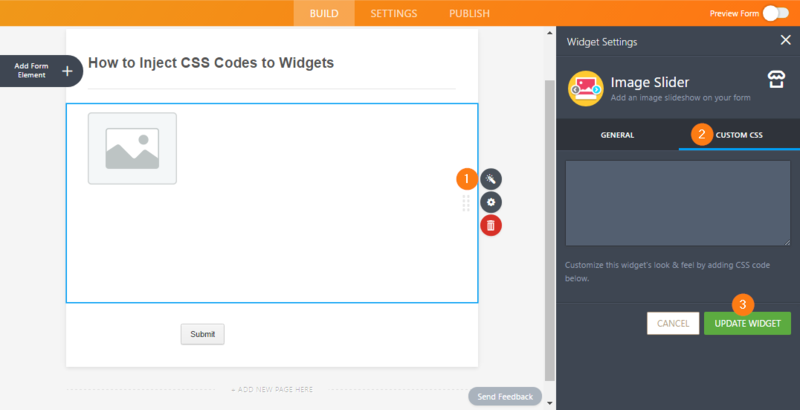 Since widgets reside in their own respective iFrames, they are also restricted by the same-origin policy. 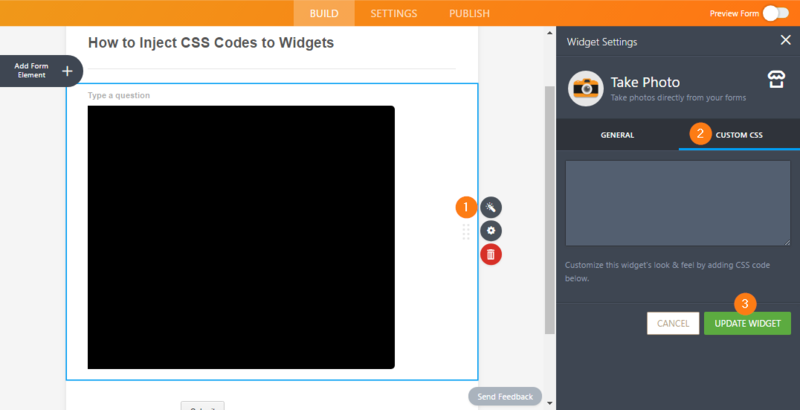 That's the reason why Widgets need to have their own option for CSS injection, and that's our topic for this guide. We can't cover all the widgets but the general idea should be the same for the rest. 1. Open the Widget Wizard by clicking the WAND icon. 2. Go to the CUSTOM CSS tab and inject your codes. 3. Then hit the UPDATE WIDGET button to save your changes. Learned something from this guide? Let us know below. If you have a question, post them on our Support Forum so we can help. Is there a way to customize the iframe embed widget to look & feel the way I want by adding CSS code? Need help!!! How can I control the fields width and margins, it seems that from the demo all the css commands are not effecting. or are their special characters? how can i add custom css form fields in infinite list widget? Is there a list with the names of the css fields that we can edit to change the look and feel of each element?